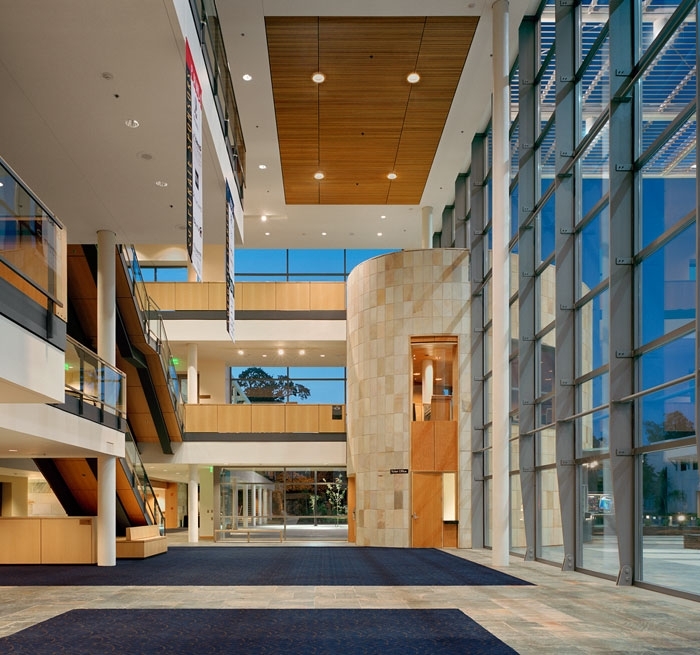 Auerbach Glasow provided architectural lighting for the lobbies and audience chambers of the Robert and Magrit Mondavi Center. Designed with a clear aesthetic towards highlighting the modernist design of the building, the firm’s sophisticated design utilizes state-of-the-art light sources and controls to enhance the building’s expansive spaces and sumptuous palette of materials while remaining inconspicuous. 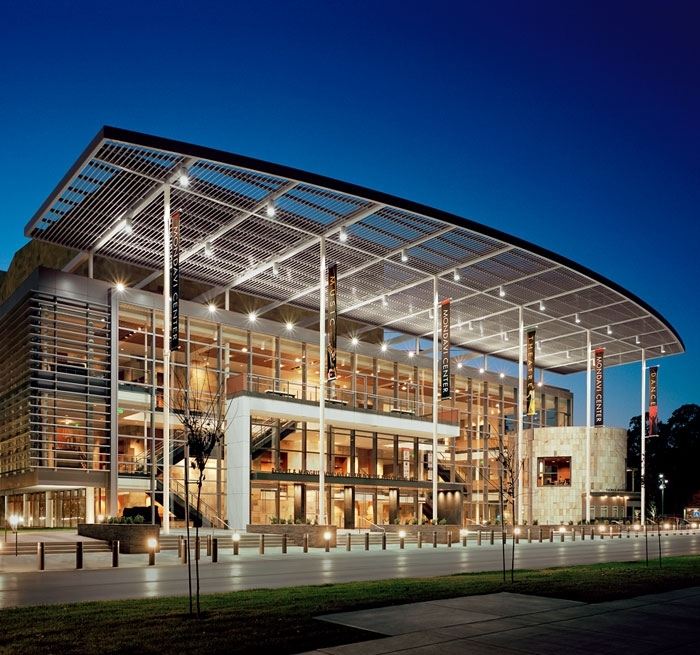 With lighting designed not only to enhance the experience of individuals entering the venue but also to provide the Mondavi Center with a night time presence, the main entry to the building is a progression of light from the large front plaza to the glass fronted lobby. The triple-height sandstone wall in the lobby has balconies that overlook the main floor of the space. 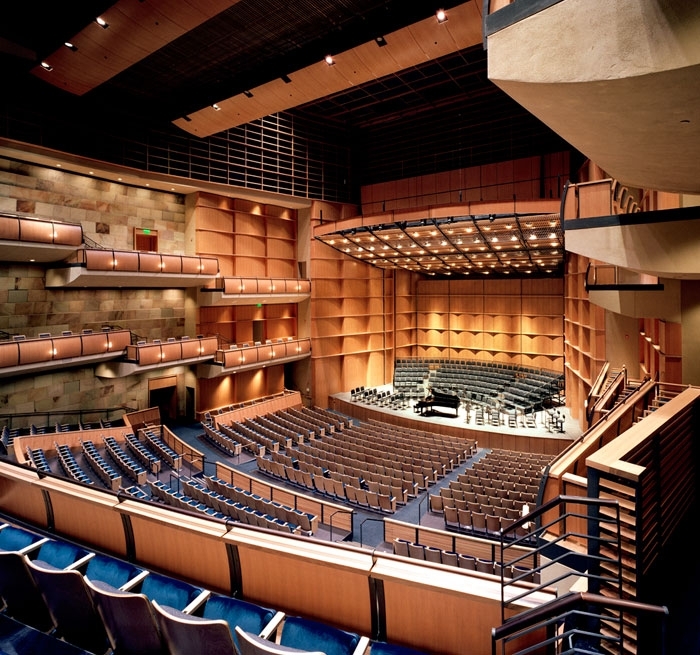 Emphasizing the magnificent volumes and materials of its two-balcony space while allowing the lighting to change the perceived size of the audience area, the 1,800-seat Jackson Hall’s design includes accents and decorative sconces on close-in wood planes, which can be emphasized to give the space a more intimate look for smaller events or simply to give a different feeling to full-audience events. The architectural lighting in the Vanderhoef Studio Theatre is designed to be as flexible and reconfigurable as the room itself. 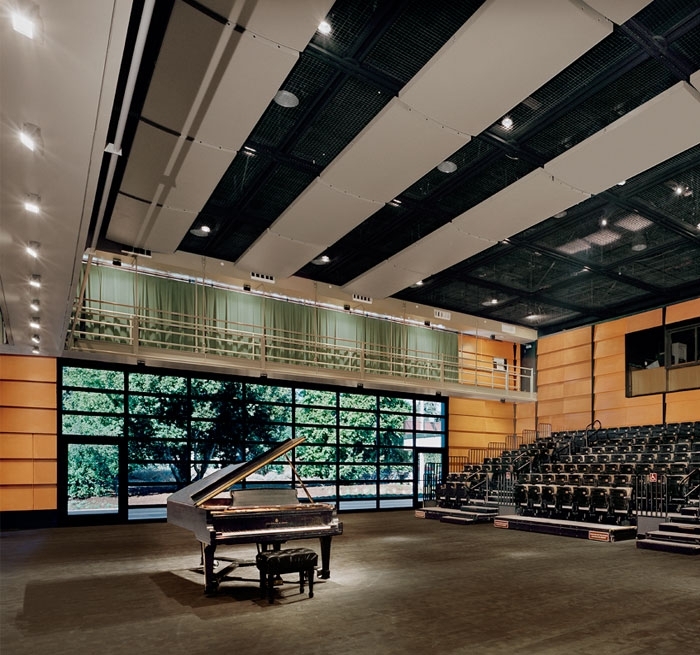 Downlights over the seating are hung just above the tension grid and may be physically moved or controlled in independent groups to respond to varied seating or other arrangements in the space below.